A New Bio-Gas System in Palestinian Susya | The Only Democracy? 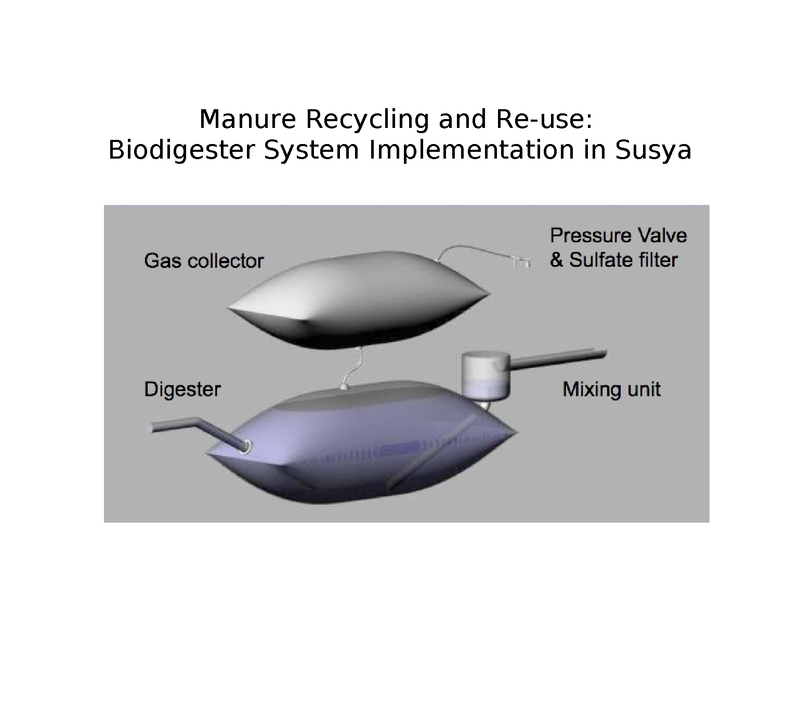 in May 2010, the Bio-Gas project was launched to install systems for producing gas from sheep and goat dung for the domestic energy needs of the Palestinian hamlet of Susya (Susiya). This project was the initiative of Yair Teller, together with The Villages Group and Arava Institute. The first sytem was installed in the dwelling compound of the Hajj Ismail Nawaj’ah family, in Susya. Subsequently, two similar systems were installed in the dwelling compounds of another two families of the same clan in Susya. These are small systems of 4 cubic meters, each providing one family’s cooking needs. In the two years since, Yair Teller continued developing his expertise in bio-gas. He joined three partners – Erez Lantzer, Oshik Efrati and Danny Dunayevsky, who together formed the Ecogas company. Ecogas and the Arava Institute are now pursuing the development of additional bio-gas systems in Palestinian Susya. 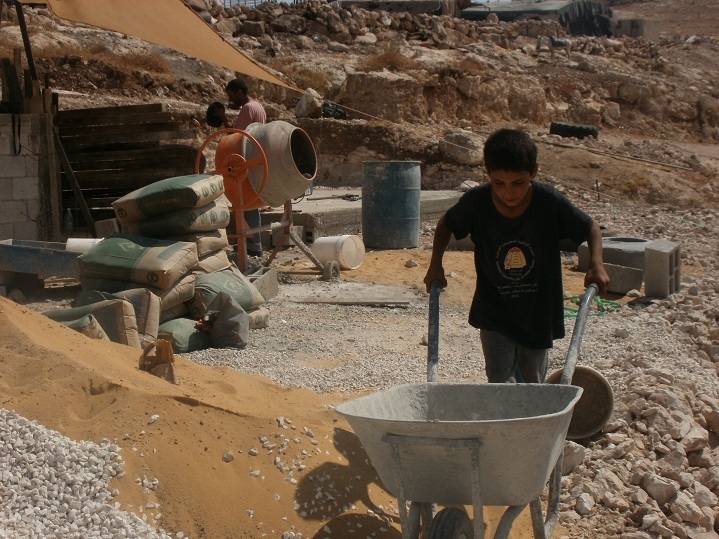 Currently, together with the villagers, they are working to install a new 16-cubic-meter system in the area of the Hasan Shinran family in the western part of Susya. The eastern part of Susya is inhabited mostly by families of the Nawaj’ah clan and is in Area C (in which permission for construction has been temporarily left in the hands of the Israeli Occupation authorities according to the Oslo Accords). Last month, the Occupation regime’s “civil administration” issued demolition orders for most of the dwellings in that part of Susya. The residents, with the help of the Village Group and many other Paletinian, Israeli and international partners, are fighting these unjust orders in court and in the public sphere. The western part, inhabited mostly by families of the Shinran clan is in Area B (where construction is authorized mostly by the Palestinian Authority). 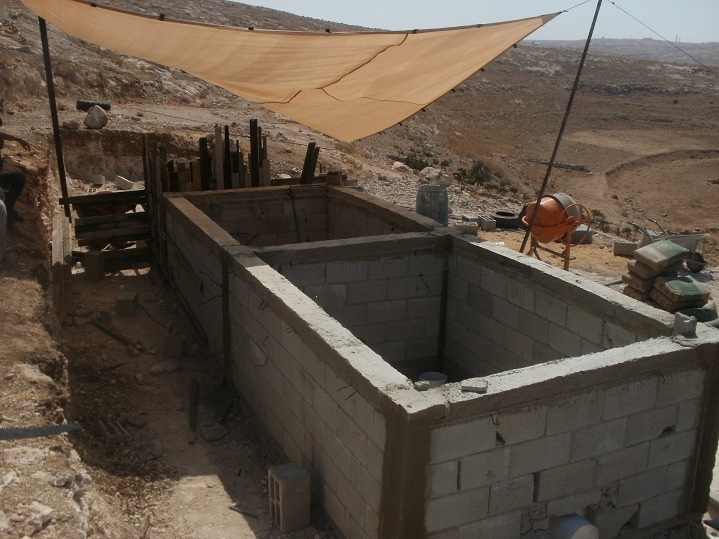 The new bio-gas system is constructed in this part of Susya, and is relatively safe. Unlike its predecessors, this system is meant to supply not only gas for family needs, but also for winter heating of the local schoolhouse – is also under threat of demolition by the “civil administration”, who claims it lies about 150 meters inside Area C.
According to plan, as soon as the bio-gas system itself will be completed, the second phase will begin, whereby two green-houses will be created at this site: one for educational purposes, in the area of the school. The schoolchildren of Susya will cultivate this greehouse under guidance from Arava Institute instructors. Thus they will learn to apply ecological principles in farming. The second green-house will be built in the Hasan Shinran compound, and to grow vegetables for both local consumption and marketing. Crops of both planned green-houses will be fertilized by compost produced from the surplus production processes of the gas system. In conclusion, to the best of our understanding, when the heart listens, other hearts are heard, and fertile cooperation ensues. Even if the demolishing hand carries out its threats, the hearts will go on beating. Hearts are not to be demolished.